No Longer Banned in the British Library! 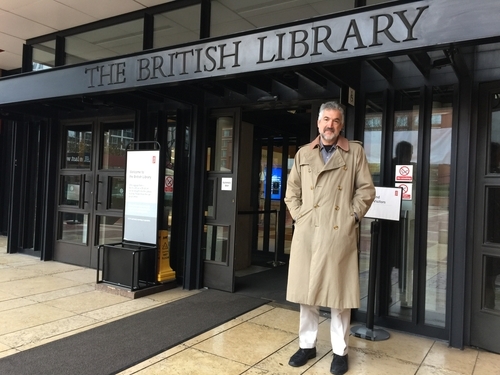 The British Library, I documented yesterday, had blocked my website and those of the Middle East Forum while letting through some of the most foul antisemitic and Islamist sites. The article ended with mention of my writing to the library, a government institution, to request that the blocks be removed. Also, a substantial number of readers wrote to the library in protest. The British Library's reading room. Apologies for the fact that the websites you listed below were blocked by the Library's WiFi service. ... I am writing to inform you that all sites listed are now available via the Library's WiFi. The library's press office (@BLpressoffice) announced the end of the block on Twitter. @DanielPipes re. your websites being blocked erroneously by @britishlibrary wifi: these have now been unblocked. Apologies for the mistake. The British Library press office tweet. So, the library owned up to its mistake and corrected it expeditiously. I am pleased and reassured by this response. But its replies raise deeper questions: Why did it take a library patron trying to access DanielPipes.org to learn about this problem? How could a major British governmental agency block these high-quality mainstream, informational, sites? How could it simultaneously give access to extremist, antisemitic, radical, Islamist, and jihadi websites? The library informs me that it relies on an automated filtering software made by a company called Smoothwall; it adds that it is "unable to advise [me] on the details of the algorithm" which Smoothwall utilizes for deciding which sites to block. Asking the British Library about policy: How do you define intolerance? Now that you know that jihadi sites can be accessed on your WiFi system, will you continue to allow access to them? Asking Smoothwall about algorithms: Do you plan to make changes to the software that blocks DanielPipes.org and MEForum.org but permits Al-Qaeda's operational website? May 9, 2017 update: The library has not replied to me. Dec. 3, 2017 update: I personally went to check the Wi-fi at the British Library today and found that, indeed, this website is immediately accessible and without impediments.